Has Twitter Stopped Growing? CEO Evan Williams Says "No Way!" Some people are of the opinion that Twitter’s traffic and growth have flatlined, and has been flatlining for quite some time. Looking at sites that track such things like Compete and Quantcast, you’d believe that Twitter has a growth problem – in fact, you’d think it’s not growing at all. 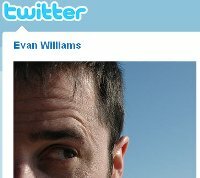 However, Twitter CEO Evan Williams believes differently. 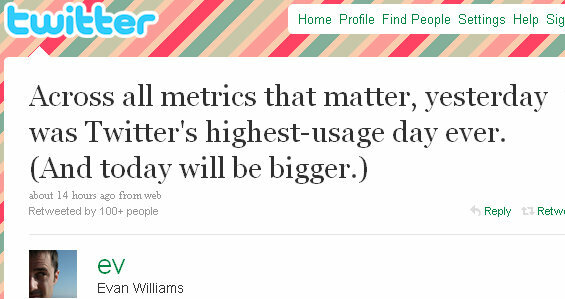 Mr. Williams is obviously defining growth on “number of tweets”, instead of looking at pure “new user registration” as the gauge. Users are accessing Twitter in a lot of different ways – mobile phones, desktop clients, etc… and measuring growth by the number of tweets could be a legitimate tool. However, there are problems with the method of measuring Twitter’s growth by looking at the number of tweets that occur in a single day. Services such as TwitterFeed.com, who send automated content into Twitter, and who currently claim to be sending 787,844 feeds into Twitter, can dramatically skew this number. What do you think? What’s a fair and measurable way to legitimately gauge the growth of Twitter?